Nicolette Scott is an archaeologist with an unusual specialty—the recent past—and an even odder passion—uncovering lost airplanes. But ancient civilizations are where the funding is, and the New Mexico badlands are where her father is, so Nick bides her time on a dig of prehistoric Anasazi dwellings. When a prospector brings word of his unexpected find—an airplane buried in the shifting sands of the desert—Nick is eager to investigate. What she finds is an American B-17 bomber, shot down over friendly territory, its long-dead crew still inside. 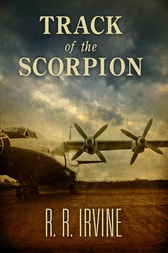 As Nick tries to trace the warplane's origins and crew, she soon realizes she's triggered a massive cover-up. Within days, the newspaper that reported her discovery has retracted its story, the B-17 itself has disappeared completely, Nick's career is in serious jeopardy...and people who saw the plane are starting to die. And it will take every survival instinct Nick's learned in the brutal desert to keep her from being the next.